Bits of My Own: Seek Joy in All Things (with Chainsaw Stuffing)! I am slowly finishing up some of the smaller projects I started. 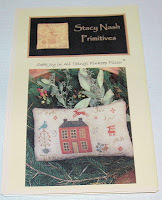 One of them is Seek Joy in All Things, from Stacy Nash Primitives. 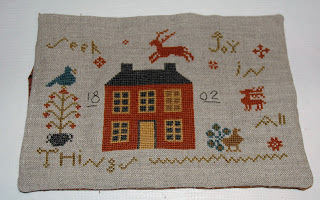 I absolutely loved stitching this! 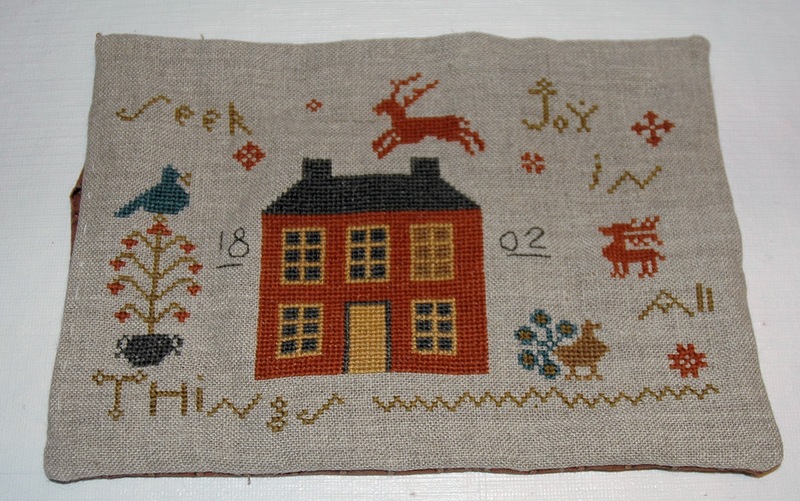 It is stitched on 28ct Flax linen, using DMC. 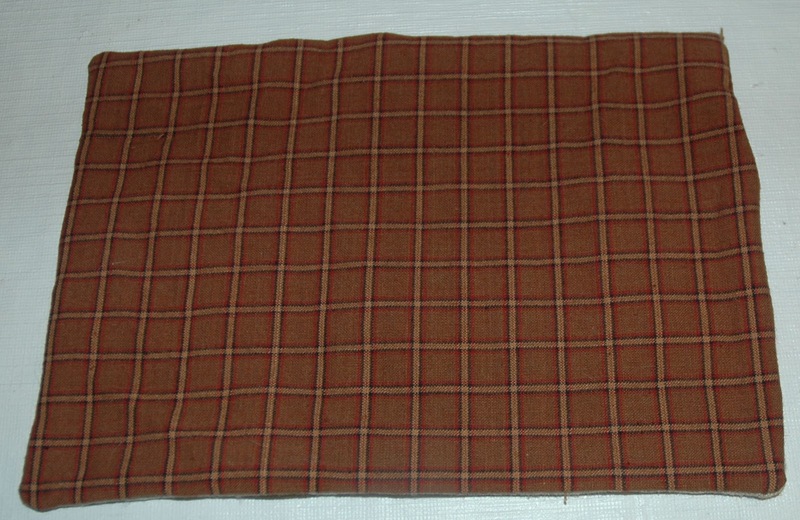 I backed it with a rustic plaid. 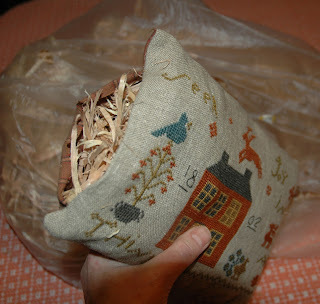 For the stuffing, I wanted a primitive type, natural stuffing. I had thought of walnut shells, but I was inspired by my own back yard! 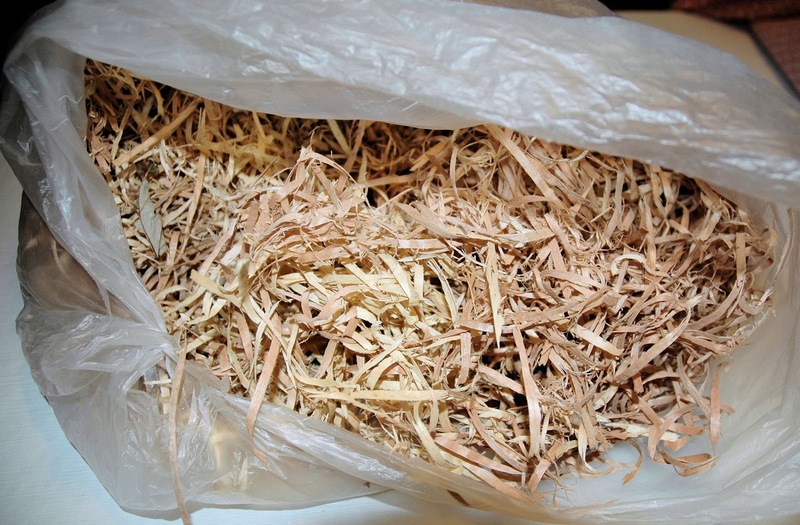 Lots of curly-que wood shavings! I thought it would be a great way to memorialize the tree! It worked out pretty well. 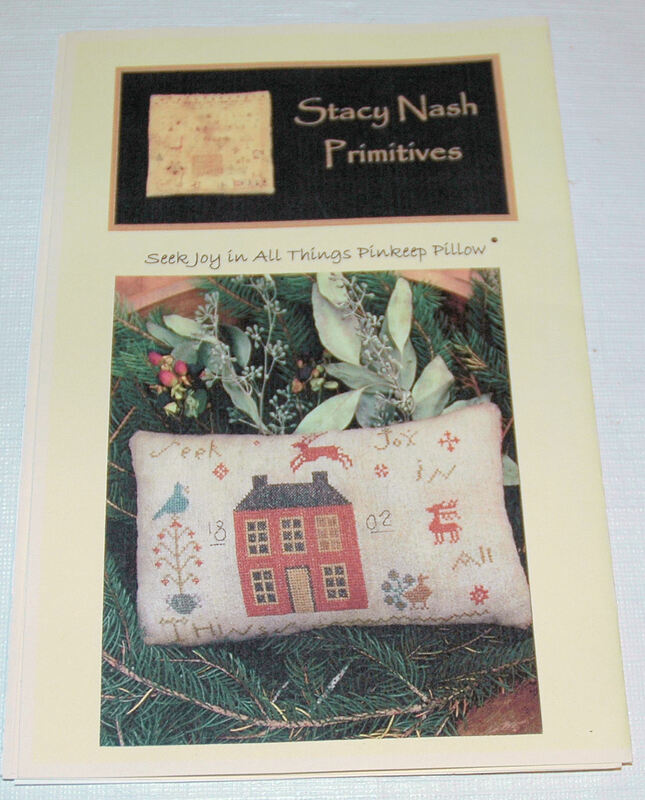 It is a nice scrunchy, lumpy stuffing, just perfect for a prim pillow. I think it fits in well with the natural Holiday decorations. It seemed a good way to truly "seek Joy in all things". Just my little way of taking something back after the storm! I love how you snubbed your nose up at Sandy. ;) Great finish! 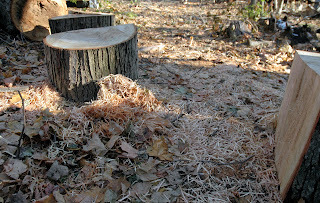 That's so neat that you were able to seek joy in all things by using the shavings from the tree. How unique! I just love the finish and it looks so pretty and prim in your bowl!! Well done! 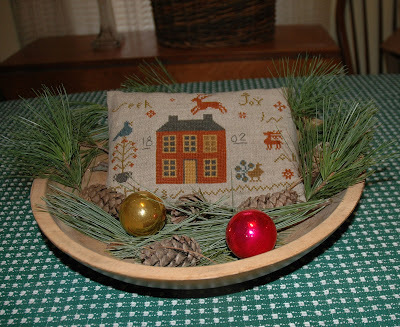 Great finish and I love the stuffing idea! It's beautiful! Using the wood shavings is a great idea! I think your finish is lovely. Plus I love the sentiment that it expresses. It's just perfect for Christmas. What a brilliant idea, good for you. i love it - from pattern to finishing - great job. This was a fantastic idea, and it turned out beautifully! 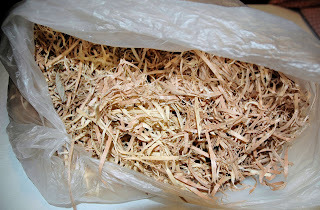 A lovely idea to use the wood shavings, it's a great finish.